Great tips on mobility. 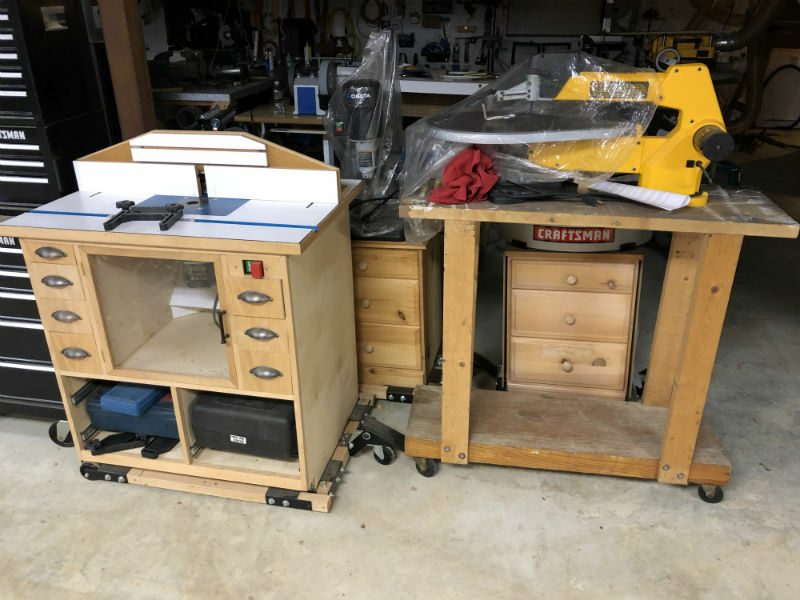 Most of my power tools (radial arm saw, shopsmith, etc.) are on wheels. One that I am having trouble with is my floor-standing drill press. Any suggestions? 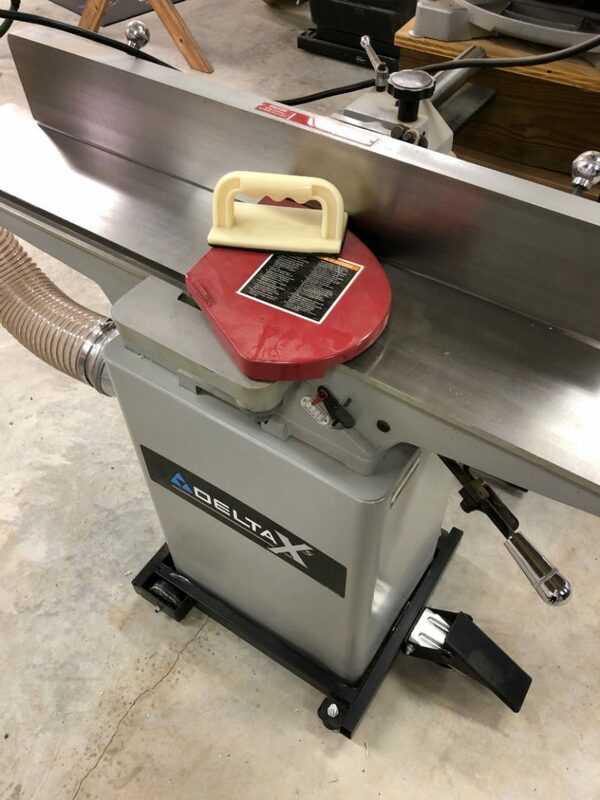 I have the same problem with my Jet floor standing drill press. 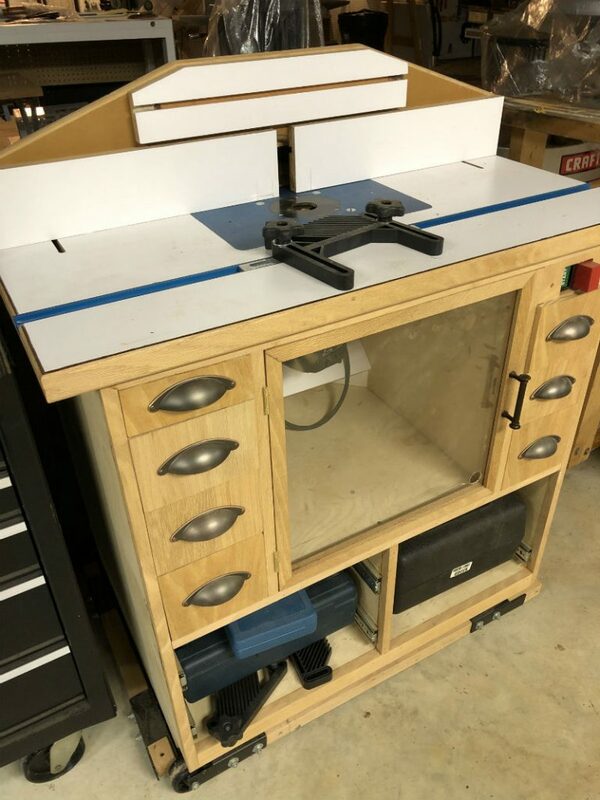 Love to hear some good ideas for making that top-heavy son-of-a-gun mobile!! 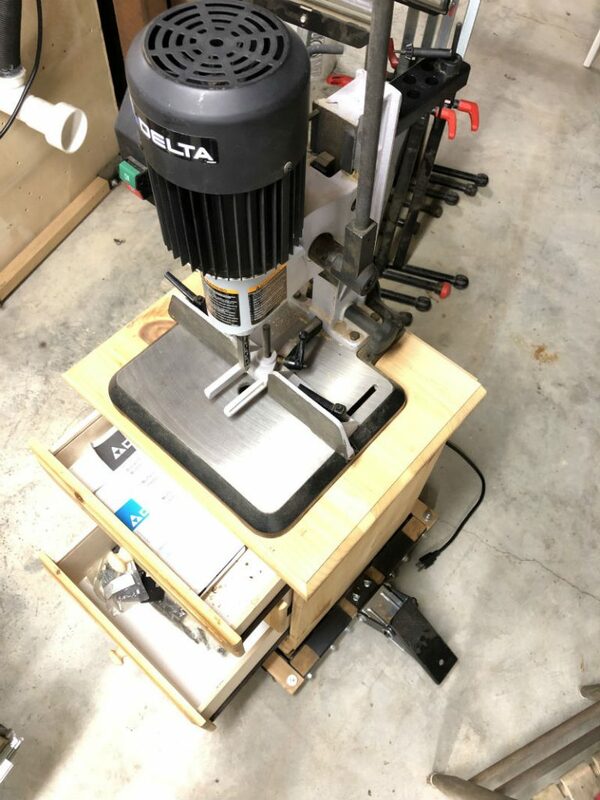 I made a mobile base for my very heavy floor standing drill press from some thick angle iron and bolted it to the bottom . I put the drill press on blocks to do this. 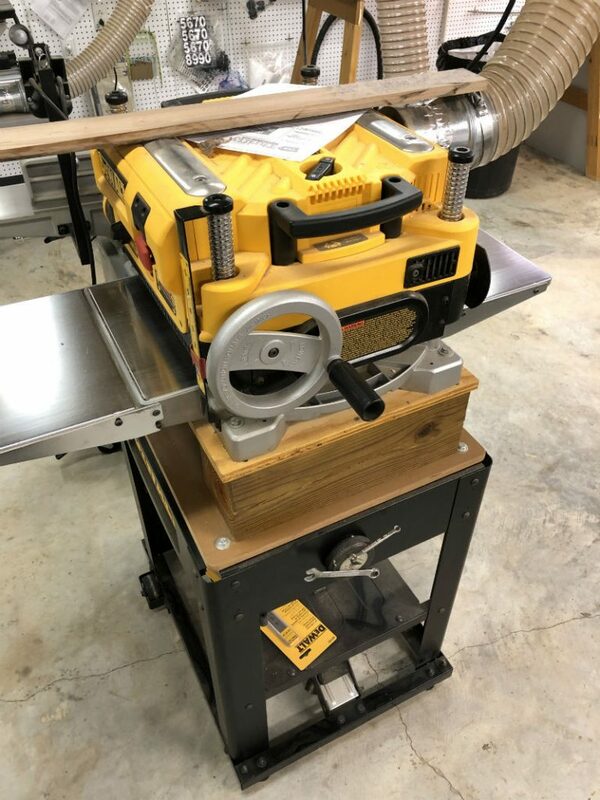 I started by jacking up the front using a floor jack and a 2×4 wedged under the table then worked from back to front sliding under blocks until it was high enough to tighten bolts through holes that I drilled in the base. 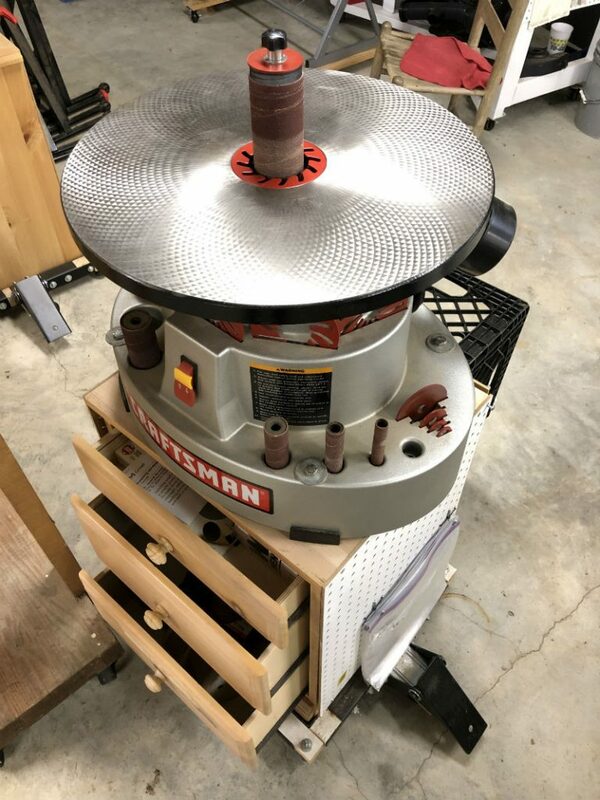 I used some thick wide angle iron to which I bolted the wheels so they had room to rotate 360 degrees.If you’d like to see a picture you can just go and look at the base on my drill press in this months Highland Woodworking featured shop.